Veronica Lee joined First Western Properties in 2016. 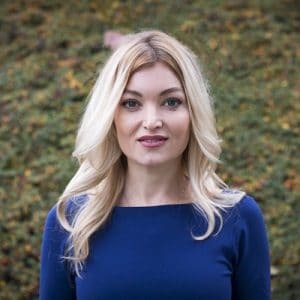 After studying finance and economics at the University of Oregon, she started her real estate career in commercial investment sales and self-storage development. She spent a decade doing in-house retail tenant representation, from small shops space to junior anchors, often working closely with brokers at First Western Properties. Veronica’s playground is the West Coast, taking advantage of everything the outdoors has to offer—from skiing in the mountains to wakeboarding on the river, you’ll find her outside enjoying nature with her family. During the rainy season you’ll see her at an Oregon Ducks football game or cheering on the Trail Blazers or volunteering in the classroom.